The booming of the taiko drums welcomed the crowd on the first ever Nagoya Day at the Grove on August 10, 2014. On stage, L.A. Matsuri Taiko beat out dynamic rhythms heralding the 55th anniversary celebration of the sister cities of Nagoya and Los Angeles. 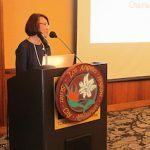 The event, hosted by the Los Angeles Nagoya Sister City Affiliation (LANSCA), will be held annually. Stimulating performances filled the stage, but there were other attractions at Nagoya Day, too. Cultural booths created an ambiance of Japan at The Grove. At one booth, visitors could try on kimono and have their photos taken. Calligraphers wrote out people’s names with Japanese characters, and origami crafts were made at other tables. Traditional ceremonial tea was prepared and served by Omotesenke Domonkai Los Angeles. Fierce fighting moves were demonstrated on stage by samurai from Nagoya. “Hachimaru –kun,” the Nagoya mascot, bobbed around on stage in between acts. Uchiwa fans depicting Hachimaru’s adorable image were given out at the LANSCA booth. 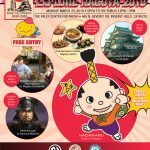 People who visited the table asked: “What is Nagoya?” LANSCA volunteers happily informed them that Nagoya is the oldest sister city of Los Angeles. At the ripe anniversary of 55, the time is due for Angelenos to know that their sister city in Japan is Nagoya. 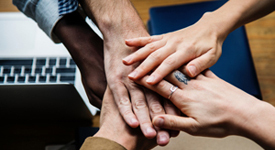 What better way to inform them, than to celebrate the relationship with Nagoya Day! 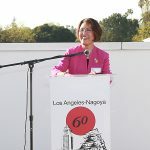 Dignitaries from Japan and Los Angeles expressed their excitement for Nagoya Day. Greeting The Grove shoppers were Consul General of Japan Harry Horinouchi and Mayor of Nagoya Takashi Kawamura. 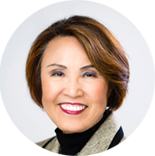 Mayor Kawamura gave LANSCA Chair Teruko Weinberg the moniker, “Hurricane Teruko” for her outstanding efforts in organizing the first annual event. Councilmember Tom LaBonge’s enthusiasm was effusive. Assembly members and port officials of Nagoya city also greeted the crowd. Unique cultural aspects of Nagoya were showcased during the day. Chef Akira presented delicious samplings of Nagoya cuisine such as eel prepared in the hitsumabushi style and savory tebasaki chicken. 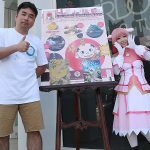 Nagoya city is host to the annual World Cosplay Summit. Bringing a touch of that youthful energy to Los Angeles, Nagoya Day featured a Cosplay contest that attracted forty-three contestants. First place was taken by Court Soto as “Vanitas” who won an ANA airplane ticket to Japan. Ivan Van Norman emceed the contest with judges Paola Alejandra, Kristine “Space Invader” Carr, and KC Mussman. Japanese pop artist Stephanie emerged singing from a beautiful Lexus. Her rendition of Michael Jackson’s “I Want You Back” was later echoed by the performer Kenichi Ebina, who gave his take on Michael Jackson’s moonwalk in “Beat It.” Stephanie ended her set with her own composition called “Nagoya Day Oke” which she wrote specially for the day. Both artists were crowd pleasers. Also pleasing the crowd were the food demonstrations by Chef Andy of Mizkan, who distributed samples of his creations. 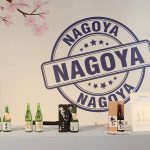 In addition to Mizkan and Lexus, Nagoya Day was sponsored by JR Central, Mizkan, ANA, Toyota, the City of Nagoya, the Port of Nagoya, the Los Angeles Nagoya Sister City Affiliation, the Japan Foundation, Upper Crust Enterprises, Denso and others. Judges: Kristine “Space Invader” Carr, Paola Alejandra, KC Mussman, emcee: Ivan Norman.